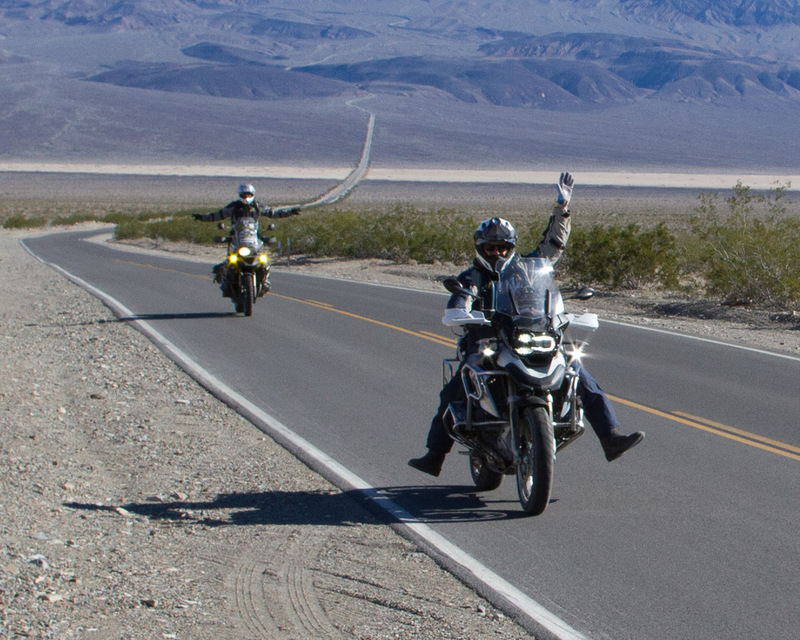 I dropped in on RawHyde's California Adventure Rally this weekend in Panamint Valley, CA. The camp looked like a great group of people and a nice variety of bikes. This was the first time I've rode 2-up on the dirt...needless to say I was a bit nervous. After a couple hours of riding and getting used to the weight and getting a feel for the bike, 2-up was actually more fun than I expected.....I was planning to be a nervous wreck the entire time riding 2-up. I was able to cruise quite comfortably, passing Jeeps and kept pace with solo folks riding at a nice easy pace. The worst part was not being able to stand up freely, but it was fine. I just stopped and took a stretch brake more often than I normally would. We had a great time, no spills, the Tiger 800 performed great, and my girlfriend didn't have to sit at home wondering what I was up to.